"Euryphaessa" is one of those tracks that really pays off if you are that type of listener who listens to the entire song. Andreikelos presents to us one of his most recent tracks after spending some time in lurking in the shadows. A key component to many of his tracks tends to be the initiation by using ambient and atmospherical soundscapes that segues into the main course. 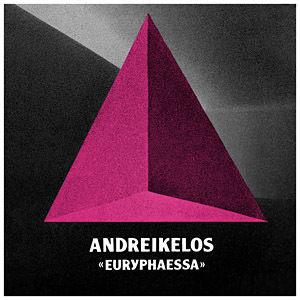 This Greek producer exemplifies his formula in "Euryphaessa". Starting off with light, clean synths for the first third of the song, it gives the listener a misleading mood. You may think it would transition into an uplifting tone, but you are dead wrong. As the sounds progress, it gradually darkens. Finally, an industrial heavy beat enters along with other heavier, distorted effects to contrast with the clean looping synths. The eclectic array of sounds throughout the entirety actually makes the song cohesive as a whole. In my opinion, it's not exactly an easy-listening, but it is highly enjoyable.